On the western side of the Adriatic and Ionian seas, just 82 Km east of Italy and immediatley north of Greece, Albania has an emerging democracy and is said to have a wild and natural beauty, with untouched Mediterranean beaches and historic cities. Albania surprises the tourists with the diversity of its landscapes, which change quickly and dramatically, embellished with beautiful inland lakes, natural lagoons, reserves, and spas. 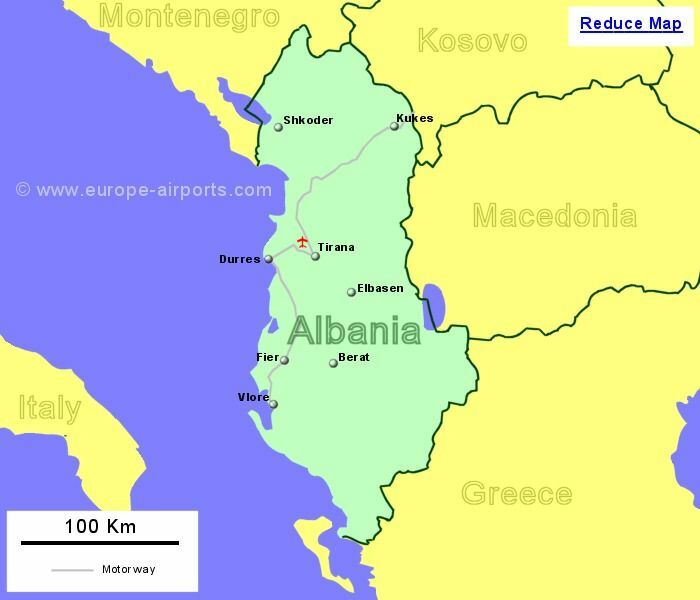 Albania is also one of the poorest and most isolated countries in Europe. The currency in Albania is is the Lek. 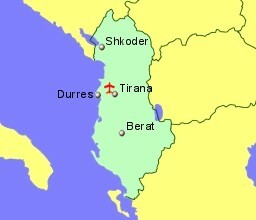 Located 25Km north of Tirana (the capital), western Albania. This is Albanias only international airport.